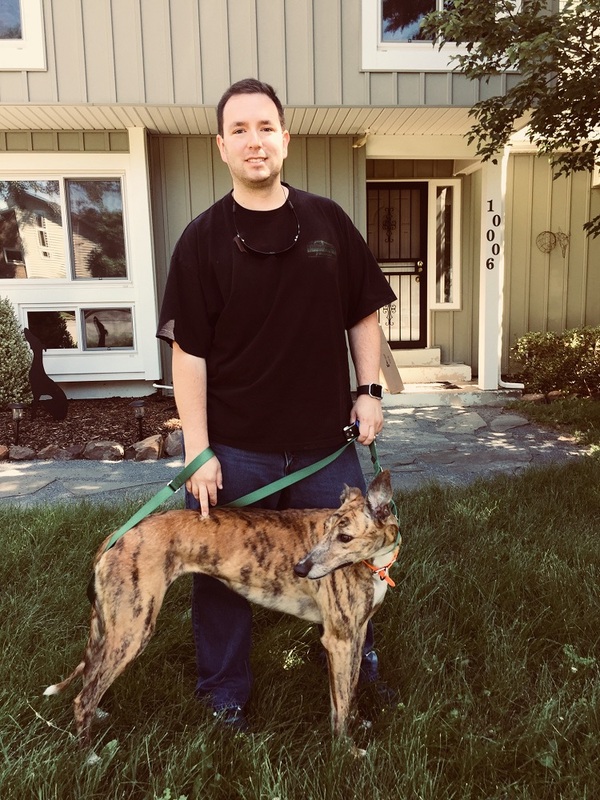 Chris Sippel dreamed he would get a beautiful Brindle female and it happened! Gandelfette now called Zoey has made Chris's dream come true! 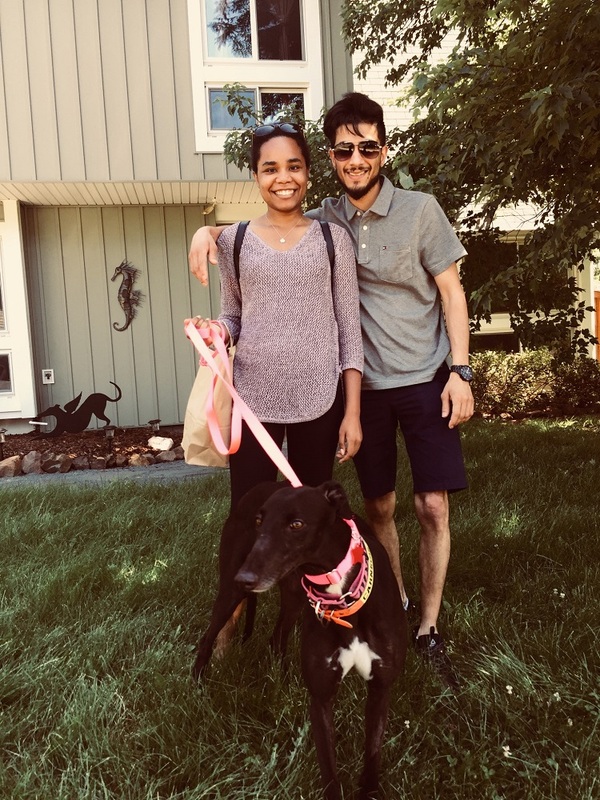 Zoey is a beautiful, sweet girl who will will not only lounge around at home with Chris but she will be able to go to work with him! Congratulations to Chris and Zoey! 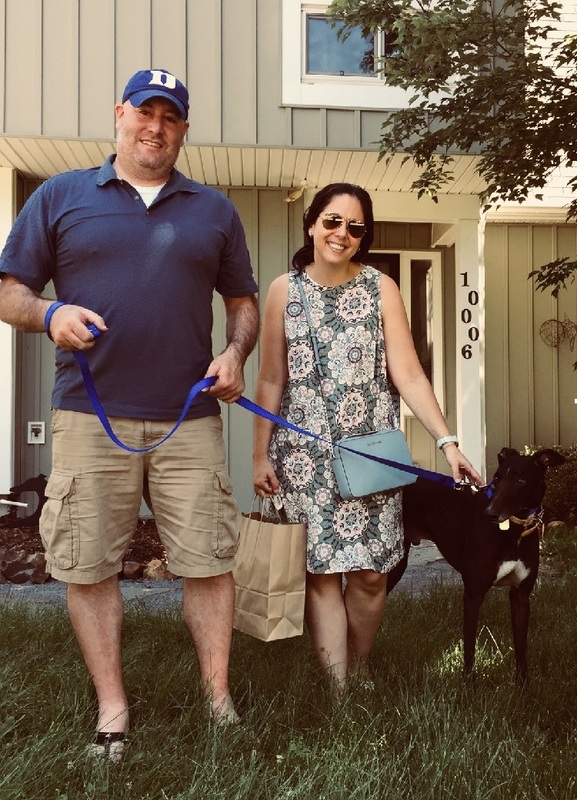 Dana cannot stop smiling over her wonderful new Greyhound, Roman (formerly Ben). Roman has some beautiful markings on his face and just wants to be right next to you for lots of attention. Roman will enjoy his retirement and get to explore DC! Grace Brock has waited a lifetime for her first dog ever! Holiday (formerly Carnegie Hall) is just perfect for her! Holiday will have chances to meet and greet some Kitties and go to training class to show off how GREYT she is! Congratulations to Grace and Holiday!